The Rutgers University football team is known as the Scarlet Knights. The Scarlet Knights play football in the NCAA Division I FBS and AAC. The Rutgers University football team won the very first college football game against Princeton University on November 6, 1869. Rutgers plays its home games in 52,454 seat Rutgers Stadium. Rutgers officially joined the Big Ten Conference on July 1, 2014. The official website of Rutgers University Scarlet Knights athletics is ScarletKnights.com. The Scarlet Knights head football coach is Chris Ash. The official name of Rutgers University is Rutgers, The State University of New Jersey. Rutgers was officially chartered in 1766 as Queen’s College when the USA was still a colony of Great Britain. It is the largest university in New Jersey and has a total enrollment of 59,000 students. Rutgers main campus is located in New Brunswick and Piscataway, New Jersey. Visit Rutgers University online at Rutgers.edu. For official Rutgers Gameday information please visit Rutgers Football Gameday Events and Rutgers Football Parking and Traffic at the official Rutgers athletic website. These two sites offer a wealth of information about visiting Rutgers University on gameday. The home of the Rutgers Scarlet Knights football team is Rutgers Stadium. Rutgers Stadium has a capacity of 52,454 and was built in 1938. Get the best prices on tickets to Rutgers University football games. You can shop all the major sporting event ticket outlets at Big Ten Football Tickets. Big Ten Online has the cheapest price for Rutgers football tickets. Get the best price when you order Rutgers personal checks from Big Ten Online. Big Ten Football Online compiles all the local network radio listings so fans can listen to Scarlet Knights football games online. Find out where you can listen to the Rutgers football game online at Big Ten Football Radio Online. We have future Rutgers football schedules for the upcoming seasons. View the 2016 Big Ten Football Schedule Grid and the 2017 Big Ten Football Schedule Grid at Big Ten Football Online. Get access to all Big Ten football games, highlights, and replays on the Big Ten Network. 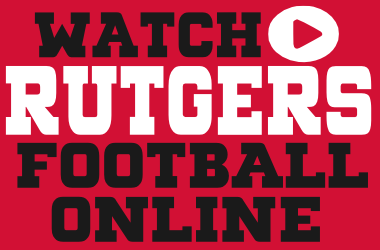 Find out where you can watch Rutgers football online at Watch Big Ten Football Online. Big Ten Football Online is the best place to watch Rutgers football games online. Rutgers R Vision…Watch Rutgers Athletics programming for free. Find one of a kind Rutgers wallpaper for cell phones and computers, screensavers and desktop layouts at our free Rutgers football wallpaper page. Get free downloads of The Bells Must Ring, the official Rutgers University fight song. Download free Rutgers ringtones at Rutgers fight song ringtones. The most popular sports message board forums for Scarlet Knights football are Scarlet Nation, Rutgers Football from NJ.com and Scarlet Report. The Grease Truck…Food, beer, and Rutgers sports. Scarlet Nation…Rutgers football coverage from Rivals. On the Banks…a Rutgers Scarlet Knights Community. Scarlet Scuttlebutt…Your source for the latest news on Rutgers football, basketball, and other sports from Central Jersey. State of Rutgers…Number one site for Rutgers fans. Rutgers Touchdown Club…Supporting Rutgers football 12 months a year. Scarlet Report…Rutgers football, basketball, and recruiting front page from Scout. SNY Rutgers…Coverage of Rutgers sports from SportsNet New York. NJ.com…Rutgers football from the leader in New Jersey news. Daily Targum…Rutgers sports from the official student newspaper of Rutgers University. Listen to Rutgers basketball and football games online at the official student run radio station Rutgers Radio.